Here is the ultimate axiom for all aspiring diplomats and foreign policy experts to know: there is no such thing as a simple quest for peace. Before anyone goes apoplectic with disgust and disdain at such cynicism, allow me to explain. I am not saying diplomats and foreign policy analysts do not have the best of intentions when trying to broker treaties, reinvigorate relations or institute long-term cooperation. In fact, it is exactly because the road for global affairs is paved most often with nothing but the best of intentions that the axiom above rings more bitterly true: nothing is unidirectional; everything is multifaceted; and every situation is never contained by minimal players. Consequently, every initial intention is ultimately transformed and/or mutated by others into something else. You need look no further than the recent Iranian negotiations trying to conclude a new agreement about nuclear energy. 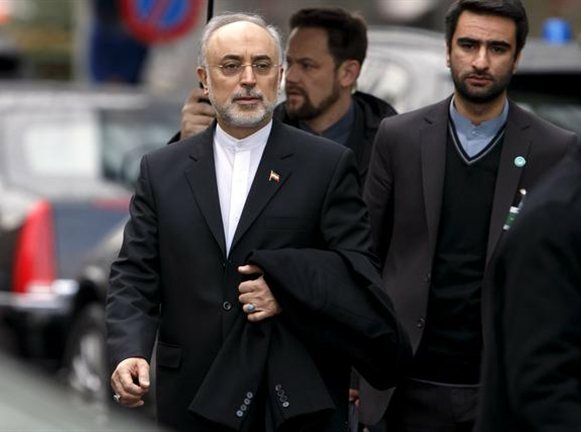 The point of negotiations was to place formal curbs and oversight mechanisms on the Iranian government as it tries to develop a nuclear energy program. Those curbs are of course meant to make sure that only nuclear energy for domestic use can come from any Iranian effort and no possibility could emerge to transform that effort into the production of nuclear weapons of any kind. Almost immediately the American domestic audience has been passionately split: one side welcomed the opportunity to consider a new approach for actual engagement, trying to bring Iran more into the global community responsibility fold. The opposing side is convinced Iran can never be trusted and that any program involving nuclear energy is destined to be a mere ruse to secretly develop nuclear weapons and ultimately destabilize the Middle East region and beyond. The international reaction has been no less contentious: for every state that thinks engagement with Iran is the only real way to broker responsible nuclear behavior from it, there are powerful opponents (Israel and Saudi Arabia just to name two very outspoken ones) who will likely never feel any brokered deal will provide enough real oversight or enough true curbs. In a diplomatic Utopia the next course of action would be to include all actors with a stake in the game to come together and hammer out not only consensus, but a sense of repeatable trust so that there is both the likelihood of good behavior and belief in legal redress for any violation of said behavior. But we do not live in a diplomatic Utopia, far from it. In fact, we live in a global affairs world where we speak about peace but expect war; where we declare good intentions but anticipate subterfuge; where we extend the hand of friendship while making sure the other hand is behind our backs with fingers crossed, just in case. Most say this is just cautious statesmanship, a necessary but healthy skepticism so as to not be overwhelmed if things go poorly. Sometimes, however, that cautious statesmanship seems to doom those best intentions to the trash heap of chaos. In this case, that chaos might be triggered by the barely contained secret that the United States will not only renew its defense aid agreement with Israel when it expires in 2017, but that it will likely be INCREASED significantly beyond its current three billion USD. The posturing and denial swirling around this poorly concealed secret is almost fodder for a tragic comedy: no one is willing to admit this is meant to be a ‘kiss and make-up’ defense deal to put Israel more at ease with the Americans engaging Iran. Netanyahu himself staunchly declares that even if a new deal is reached and for significantly more money that it will still not change Israel’s overall opposition to American engagement with Iran. In other words, the U.S. is going to give more money and weapons to an irritated Israel in order to keep it ‘calm’ about allowing Iran the chance to dabble with nuclear energy. Iran, of course, is not going to be blind to this development. From its side it will no doubt see its own international agreement as trying to constrain its ‘national defense sovereignty’ while then watching the Americans follow it with another with Israel that will subsequently arm it to the teeth, with an anticipation and expectation of Iranian misbehavior. Saudi Arabia will undoubtedly clamor onto Israel’s coattails to also gain new advantages and ‘cooperation.’ Keep in mind this current situation emerges from the ‘positive’ diplomacy of engaging Iran, with the intention to prevent it from developing nuclear weapons capability and making it more responsibly tied to the global community. America opens discussions as it is domestically conflicted as to whether this deal with Iran is positive or negative. Regardless, negotiations and an anticipated deal is expected. Israel will never see it as anything but negative, leading to an increased sense of insecurity. Saudi Arabia will agree, on this one thing at least, with Israel. America will try to ‘soothe’ hurt feelings by giving Israel a massive increase in defense aid, likely followed by similar possibilities for Saudi Arabia and Turkey. All three will use this ‘defense’ aid in a manner that will seem decidedly ‘offensive’ in military capacity terms. Iran will see those actions as a direct act of ‘potential aggression’ against itself, subsequently causing internal domestic pressure to not honor the new agreement that set all of this behavior off in the first place. Israel, Saudi Arabia, and perhaps Turkey will see this Iranian ‘reaction’ as actually ‘action,’ the EXACT action in fact they always warned about and had been waiting for from the very first moment the Americans engaged Iran. America will reopen discussions domestically, perhaps even elevating to a formal legal level, to consider if this deal was not just negative or positive, but if someone somewhere somehow had done something illegal to broker it. Expect those accusations to come from whichever party is not currently holding the White House. It is both fascinating and disconcerting to witness how fast the spinning wheel of cooperation and peace can turn into the rotating blades of mistrust and war. And always with the ‘best of intentions’ motivating everyone’s diplomats and foreign policy analysts. I hope I am wrong. I hope such possibilities do not turn into realities. I hope, for once, that ‘skeptical optimism’ can in fact turn into legitimate optimism. I hope. But I won’t hold my breath.